Omeprazole (AbPrazole™, AbPrazole Plus™, AbGard™) is effective for 24 hours, allowing the stomach sufficient time to heal itself. A treatment regime of 28 days will heal the ulcer, and with the chance of re-occurrence being very high, a prevention regime is highly recommended to avoid a flare up of new ulcers. 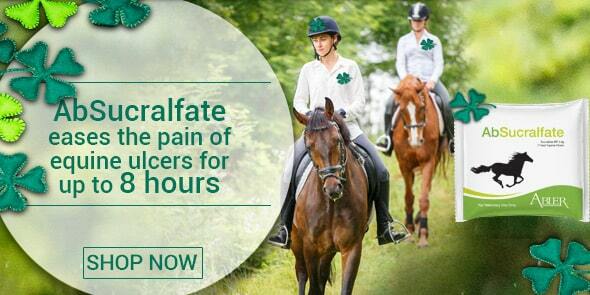 Sucralfate (AbSucralfate™) is an aluminum salt of sucrose which is not absorbed or metabolized in the body. 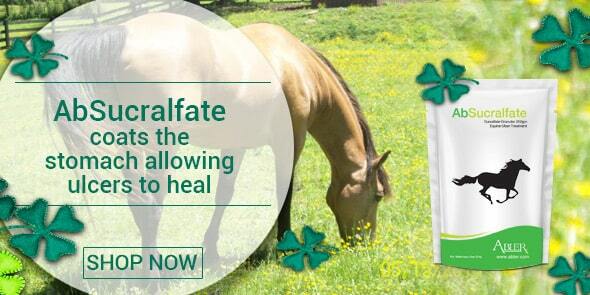 Sucralfate is a cytoprotective agent for the symptomatic treatment of equine gastric ulcer syndrome, small intestine, hindgut and colonic ulcers (right dorsal colitis). When sucralfate is administered in conjunction with omeprazole, sucralfate will coat the ulcer which avoids further acid damage and allows the omeprazole to treat the cause. 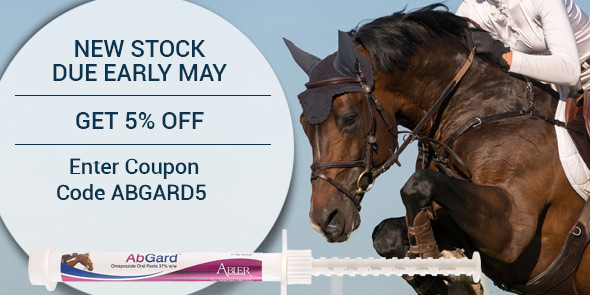 When ingested, the acidic environment forms a thick viscous compound that adheres to the ulcer site, acting as a protective film, providing protection for up to six hours at a time. What causes excessive Stomach Acid? The glandular area produces hydrochloric acid, which is an enzyme crucial to digestion of food. This region of the digestive system produces substances to help protect the stomach from any effects of the acid. Horses and humans differ, whereby in a horse hydrochloric acid is constantly being produced. 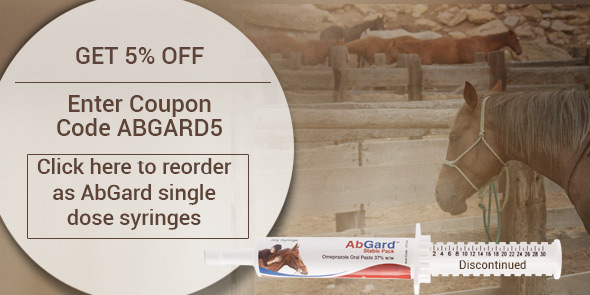 Horses need feed 24/7, if they do not constantly eat, acid will accumulate in the stomach with the lining in the non-glandular area becoming inflamed. In summary, the lower section of horse's stomach produces acid to help the digestion of food, whilst the upper section of the stomach should not contain any acid at all. A natural horse diet is of fibrous forage - mature pasture. Horses today tend to live in a very managed, intense environment with a diet of high grain with low roughage, stall confinement and intensive training, all being a huge risk to the formation of ulcers. .
A simple change to the horse's daily routine can cause excessive acid leading to ulcers.